Here's a daily reminder of your love of family and your team. 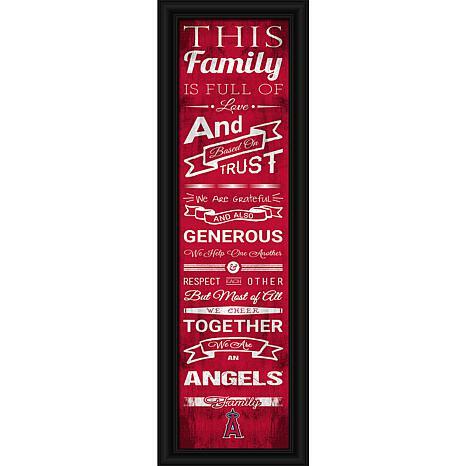 This stylish framed art work with phrases speaking about your family and favorite team makes for conversational, fun decor in your game room, man cave or office. 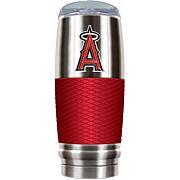 It also makes a thoughtful gift for any MLB fan. Go team! An HSN exclusive. 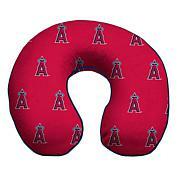 This product (the MLB version) is not available anywhere else in the world. 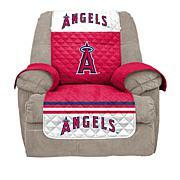 I bought this for my son-in-law and he loves it. 2016 Year for Chicago Cubs, bought this to hang in my family room to show how much I love my MLB Team, Chicago Cubs! Everyone loves seeing this! Nice quality of product, very pleased. Absolutely beautiful!!! Bought three more to give as gifts!! I have an extensive collection of DODGERS memorabilia and this OUTSTANDING product is now at the top of the list! 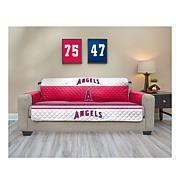 !Beautiful product that will fit perfectly in any sports room or family room. I purchased the MLB S.F. Giants and the NFL S.F. 49ers. They are better than I expected and are the perfect size. I love them, so much, I ordered another,49er family cheer framed art, to give to my son-in-law. I would, definitely, recommend.....don't hesitate on these! !